Are you about to graduate and ready to launch your career? Would you like to sell championship events for major sports? 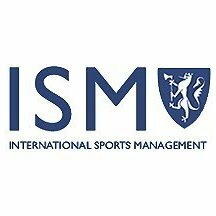 At ISM, we sell corporate sports hospitality and ticketing packages to the Super Bowl, Masters, U.S. Open, Ryder Cup & the NCAA Basketball Tournament to name a few. Since 1997 we’ve built a client base of over 70% of the Fortune 1000 and many smaller companies as well. ISM is the global leader in corporate hospitality & ticketing. We’re seeking assertive, educated, money-motivated individuals with the aptitude to close deals. The position will initially focus on new business acquisition through cold calling for the first six months and you will be responsible for data mining, sourcing the correct contact info, pitching the prospect, and setting up the close. You will then perform a combination of account management and acquisition for the remainder of the first year. Selling is conducted 100% via telephone as the territory includes the entire U.S. However, this is not a telemarketing job; it is an executive business to business inside sales position. Your direct clients will include VPs, Presidents, and CEOs. Our operations team custom creates hospitality functions centered on over 40 sporting events annually. These events range from $15K to well over $200K+. The packages are designed to entertain elite corporate clients, and our services are utilized by our clientele to foster their key client relationships. We have recently expanded our sales staff in our Portland office and are excited for further expansion. You must be an exceptional candidate with either 1-2 year B2B sales experience preferred, or a recent grad looking to begin their career in a business to business sales position. You must be dedicated, driven, assertive and articulate, possess excellent writing skills, and be phone savvy. If you want the chance to do more than talk about growing with a company, and have the work ethic to match, this could be a perfect fit. Initial focus will be on selling upcoming events while you receive ongoing mentoring. Exceptional growth potential exists for successful Account Executives including participation in our management trainee program within 12 months. Opportunities exist not only here in Portland, but also in our U.S. Headquarters in Chicago and many other markets across the U.S. and abroad. For more information on how to apply, check out the posting in Beaver JobNet.